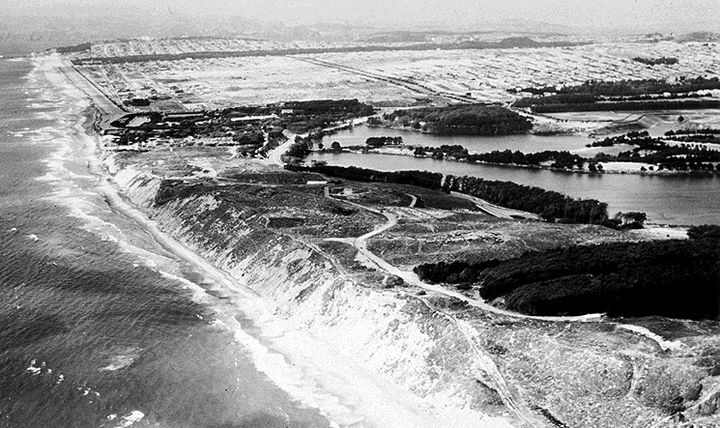 Fort Funston with Lake Merced on its east and the Pacific Ocean to its west on July 1, 1940. 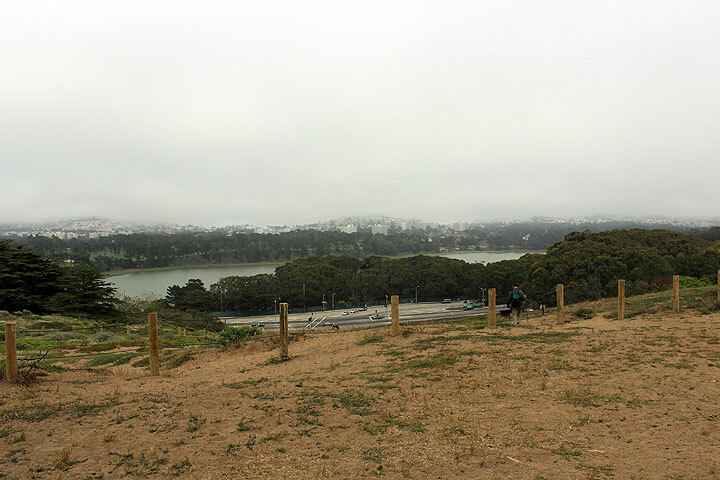 View east from Fort Funston towards Lake Merced, 2014. Fort Funston's Battery Davis from east side, 2014. 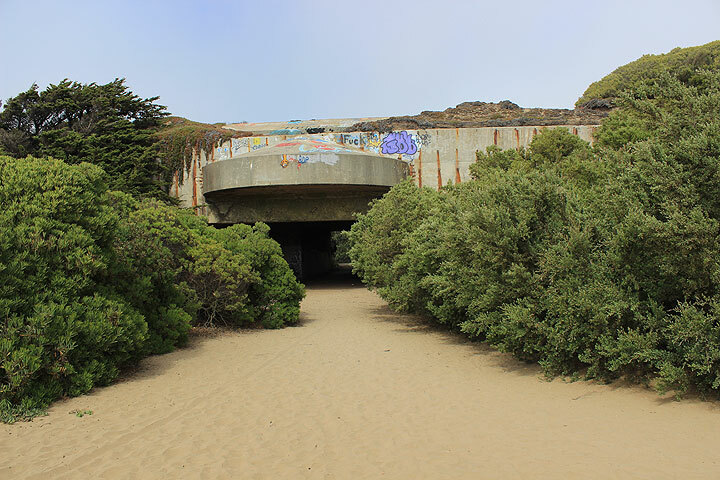 This is typical of the WWII-era gun emplacements that dot the coastal areas around San Francisco and are now mostly part of the Golden Gate National Recreation Area. 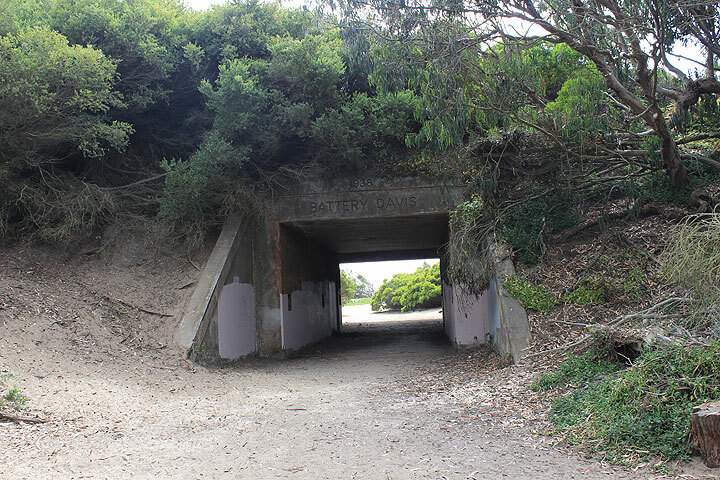 Fort Funston's Battery Davis from west side, 2014, once home to major artillery directed at repelling a Japanese invasion force during WWII that never materialized. 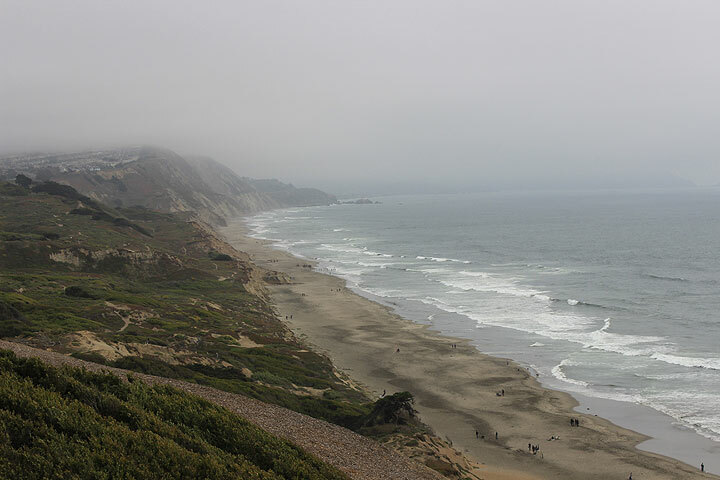 View south along Pacific Coast from Fort Funston. Rocks leaving coast in distance are Mussel Rock, the point where the San Andrea Fault enters the Pacific Ocean. 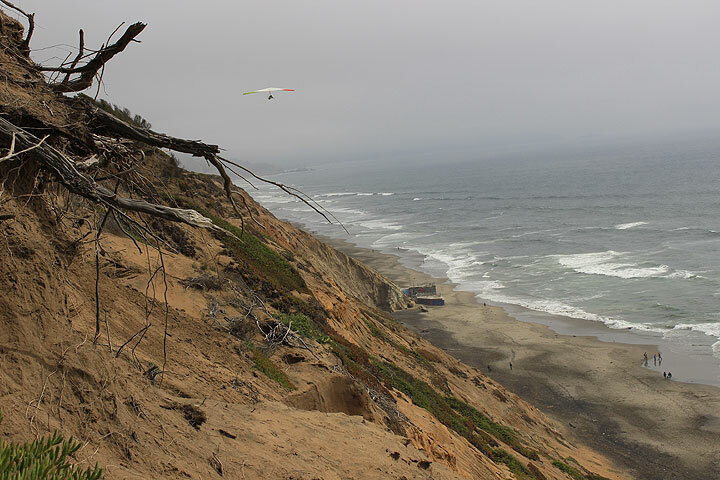 Fort Funston is now best known as a premiere hang-gliding spot in the Bay Area. 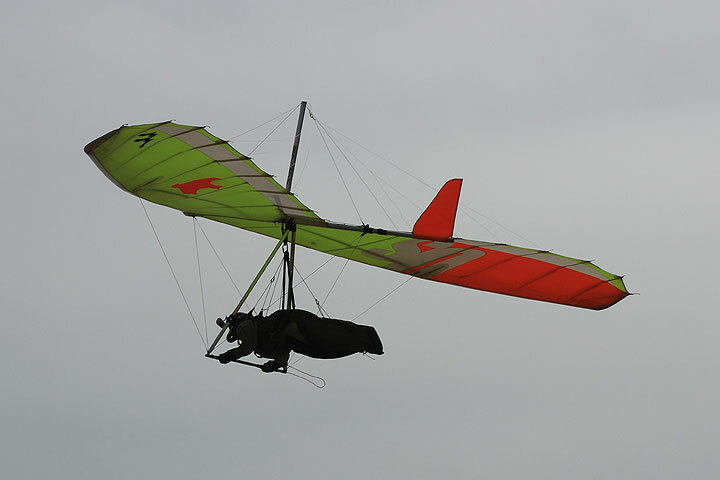 Hang glider floats past Battery Davis at Fort Funston, 2014. 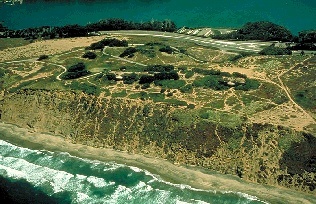 Fort Funston in the 1980s.